Albert Einstein was, undoubtedly, a revolutionary scientist. His name has become equivalent with brilliant intelligence. I’m sure you’ve heard about him discovering this and that. And that he said all sorts of smart things. But what do you know about the man Albert Einstein? 6 Albert Einstein published his great discoveries as an "amateur"
20 Does Yoda resemble Einstein by chance? When a child is born, parents enjoy every peep that comes out of their baby. They cannot wait for the baby to say the next thing. Only that some parents keep waiting… and waiting… and nothing. The child keeps them in the dark. That’s what happened with little Albert. Years passed and he wasn’t saying much. His parents began to worry that he had mental problems. But, at the age of 5 he cut loose. As in the anecdote, until then he had nothing to say. At that time no one knew, but it was a rare syndrome that – paradoxically – that affects some extraordinarily, intellectually gifted children. Now it is known as Einstein Syndrome, as Thomas Sowell called it 1)”The Einstein Syndrome” by Thomas Sowell, book published by Basic Books in 2001. When he was 5, little Albert got sick. You know how it is with little children when they have to stay still in bed all day. 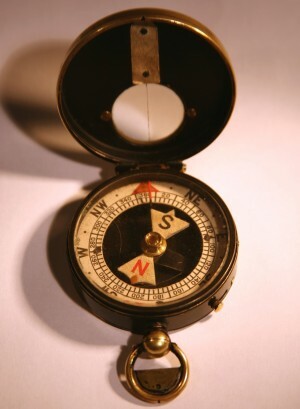 So that he would have something to pass the time with, his father gave him a compass. After years, Albert Einstein exclaimed that he was absolutely fascinated with that pocket compass. The curiosity to read the “magic” of the needle that always shows north, as if pulled by an invisible thread, was the “seed” that made him understand how many other things worked. Maja was 2 and a half years younger than Albert. The two of them got along very well throughout their lives. Maja took her degree in philology, got married, and carried on with her life. But in 1939 the situation became dramatic for Jews in Europe. In order to save her, Albert asked her to come stay at his place in the United States. Maja lived with Albert until her death. This means for 12 years. Of which the last 5 years were spent in bed because of some health problems, and Albert took care to get a good nurse. Like brother, like sister! 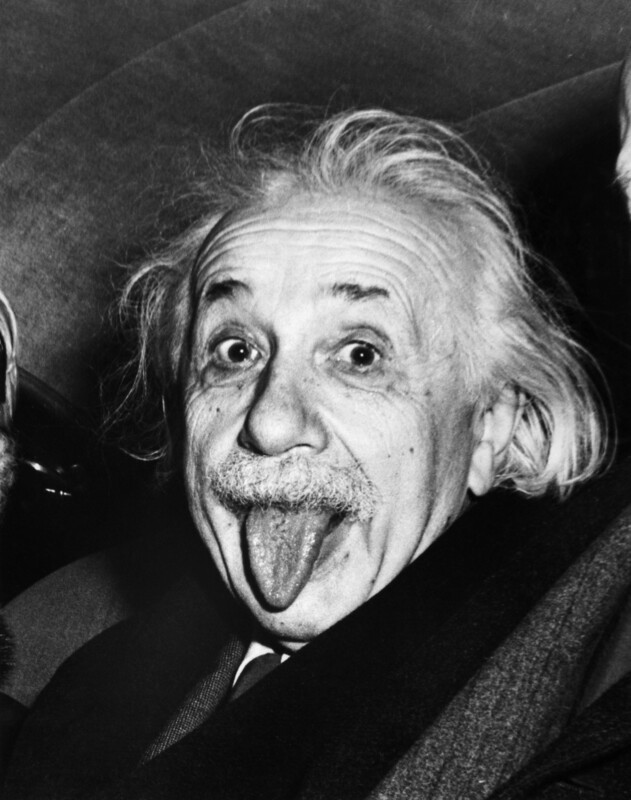 Albert Einstein had an estimated IQ of 160. You would think that such a brilliant man never had difficulties in passing exams. 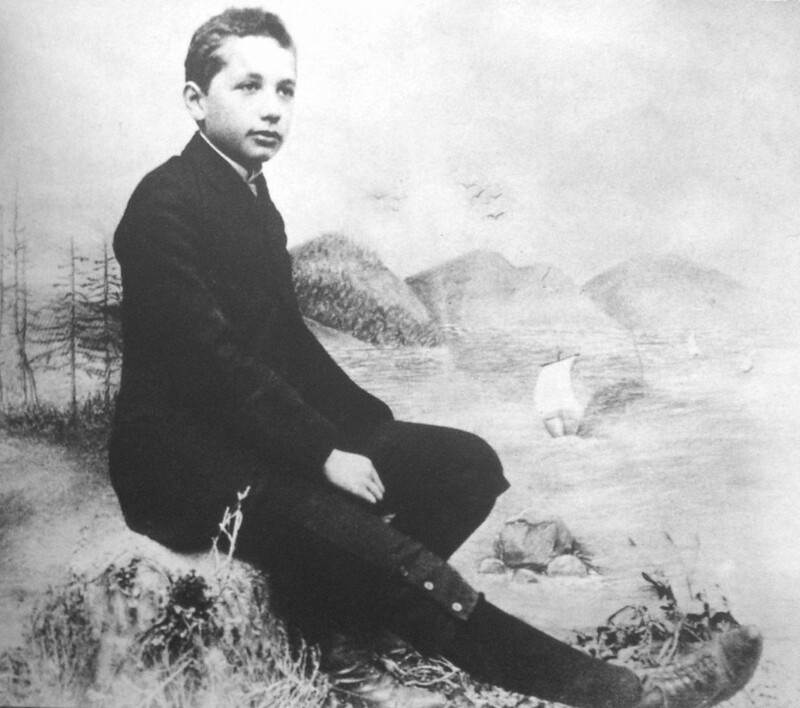 When he was 16, Albert had to pass an entrance examination at the Polytechnic Institute in Zürich – without any success. Although he was very good in physics and mathematics, he was struggling with the other classes. After another year of high school, his results improved significantly and he got his desired place at the Polytechnic Institute. He barely got a job as a clerk at the Federal Office of Intellectual Property. Where he could have remained buried in paperwork. 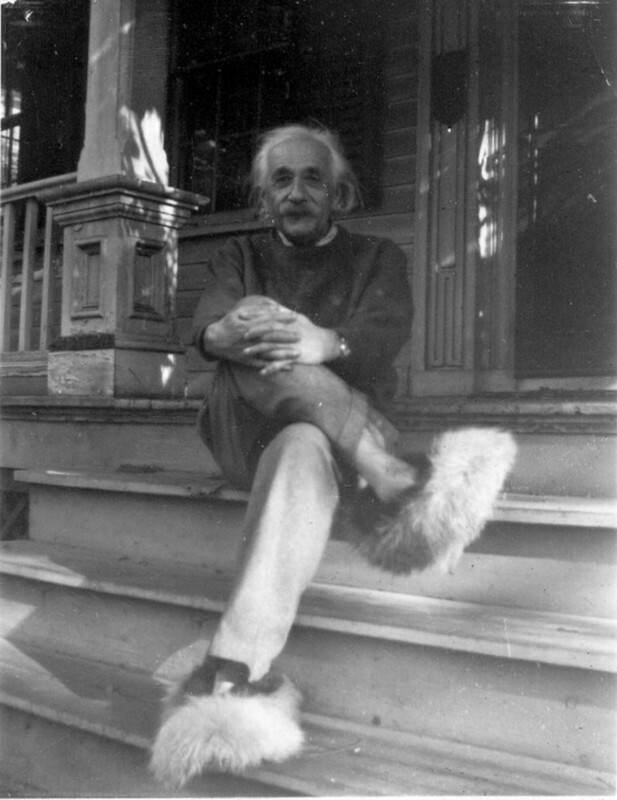 Albert Einstein published his great discoveries as an "amateur"
In 1905, Einstein was still a clerk at the Federal Office of Intellectual Property. He didn’t have the slightest authority in the scientific world. He was studying in his free time, as any person passionate about physics would do. But he was at his greatest state. That year was later called, to modern physics, annus mirabilis (miraculous year). For a while, no one paid attention to him. He was a nobody pretending to revolutionize physics. But he was driven by a big passion and he strongly believed in his theories, although he did not have enough evidence. 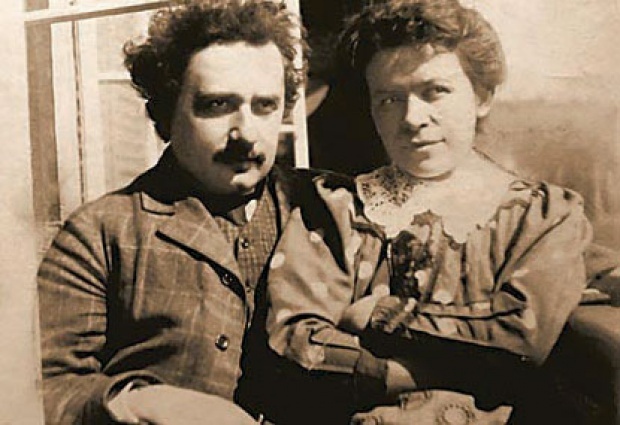 In 1903, Albert Einstein married Mileva, a Serb with who he already had a child. They had been colleagues, her being the only girl studying mathematics and physics. The couple brought to the world two more boys, but the relationship was not a happy one. 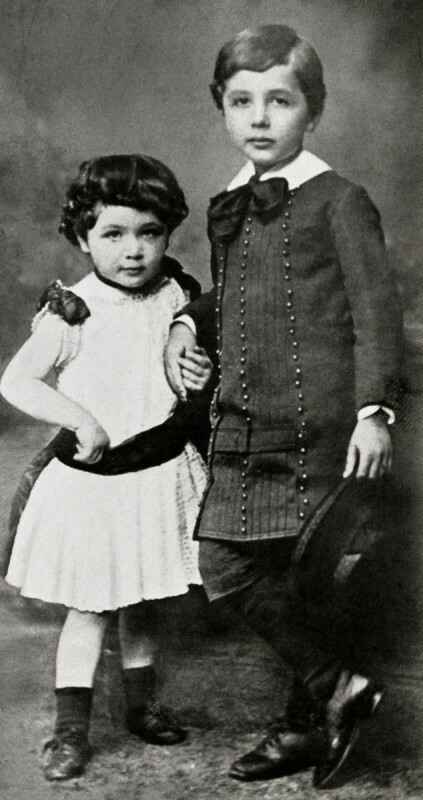 In 1914 they separated and in 1919 Albert asked for a divorce. But there was no chance that Mileva would agree. He had to consider her financial status, seeing as she was a woman with children to raise. So she didn’t give up easily. Albert Einstein’s career was evolving in an ascendant way, but he wasn’t the one to throw money out the window. To convince Mileva in accepting the divorce, he promised her all the money he would receive if he ever won the Nobel Prize. The irony is that this woman really believed in him. So she agreed 2)”Einstein Works Out Details of His 1919 Divorce from Mileva Maric” in Shapell Manuscript Collection3)”Einstein’s Wife – The Life of Mileva Maric Einstein” – article published in PBS in 2006. Only three years later, the Swedish Academy announced that the winner of the Nobel Prize for Physics in 1921 was Albert Einstein. But he didn’t receive the financial prize, which today would be worth about 280,000 dollars. When you hear “Albert Einstein”, what is the first thing that comes to your mind? Theory of Relativity! Although he began publishing his results about the Theory of Relativity in 1905, when the Swedish Academy gave him Nobel Prize in Physics in 1921, his motivation was quite different: the law of the photoelectric effect 4)”Photoelectric effect” in Wikipedia. It is undoubtedly a very important discovery, but not the most important of Einstein’s. It seems that his aversion to socks was caused by the conformation of his toes, which favored tearing the fabric. And when he saw the holes in his socks, he would became mad! So he began avoiding socks from his youth. Until he stopped wearing them altogether. If he would have taken a walk on the beach, it would have been understandable. 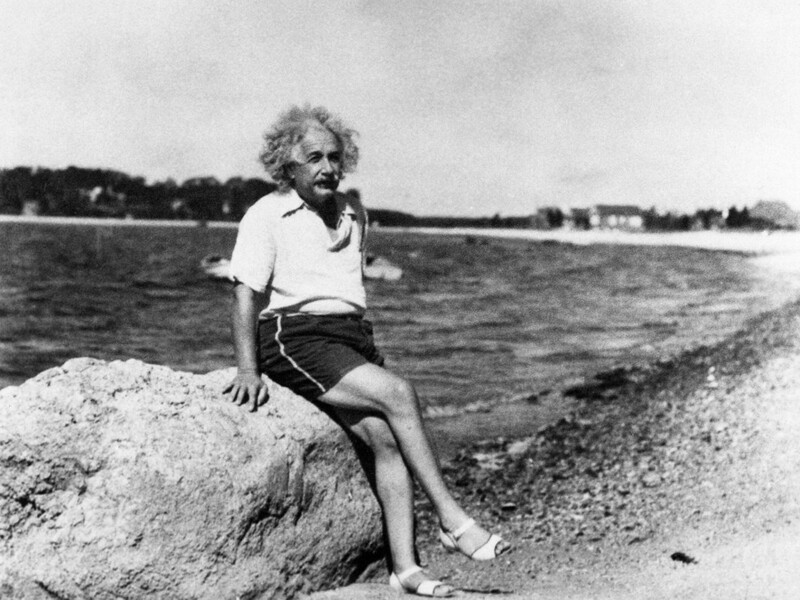 But imagine a world that kept its formality, Einstein appearing in formal meetings wearing shoes without socks. Pauline, Albert’s mother, was a pianist. She urged her son to study music. So, at the age of 6, Albert was already studying violin. He liked violin lessons so much, that at some point he threw a chair at his teacher, who left the room crying 5)”A Genius Finds Inspiration in the Music of Another” by Arthur I. Miller, article published in The New York Times on January 31, 2006. It was his talent speaking. But at the age of 13, he deeply fell in love with Mozart’s sonatas. It was an almost mystical connection – from a genius to a genius 6)”A Genius Finds Inspiration in the Music of Another” by Arthur I. Miller, article published in The New York Times on January 31, 2006. If we think a about it, there’s no wonder – the two of them were quite alike in spirit. 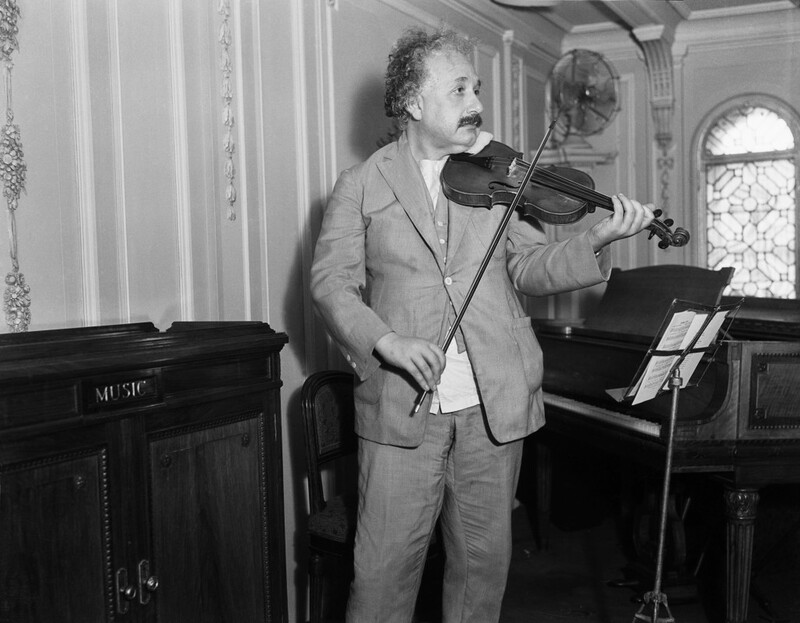 Albert Einstein played violin his whole life. How well? Elsa, his second wife, related how she fell in love with the way he was playing Mozart on his violin. And others said they were amazed by the way he played violin. On the other hand, some said his music didn’t sound so good. He believed that many of his scientific discoveries were due to his violin and piano (yes, he knew this instrument, too). Music cleared his mind, gave him new ideas… It was his muse 7)”A Genius Finds Inspiration in the Music of Another” by Arthur I. Miller, article published in The New York Times on January 31, 2006! We have a man who was not exactly acquainted with hair combs, didn’t really care about clothes, didn’t wear socks… And yet, he was a conqueror in a society that cares about labels. Or maybe this happened because he didn’t care about labels – he was a “rebel”, standing out. His weapon was his violin. He played at tea meetings, and many ladies were ecstatic listening to him. Adding to his charm was his friendly nature, the fact that he was always a fun spirit, his catchy lines, plus his strong personality, made him public danger. Details about his adventures can be found from his remaining letters 8)”Einstein’s theory of fidelity” by Roger Highfield, article published in The Telegraph on July 11, 2006. His first wife, Mileva, having a downright manner towards his escapades with other women, did not accept him. No wonder they got divorced. But his second wife, Elsa, was more relaxed. She was his primary cousin, 3 years older than him. They were friends since childhood. Elsa has publicly declared her love for Albert, but in time they seemed to have remained rather friends than lovers. Elsa had a failed marriage before and had two daughters. Before marrying Elsa, Albert flirted with one of her daughters. But as the difference between their ages was 18 years, the girl appreciated him more like a father 9)”Einstein, Confused in Love and, Sometimes, Physics” by Dennis Overbye, article published in The New York Times on August 31, 1999. So if he failed with the girl, Albert was pleased with her mom. During his second marriage, Albert had at least six mistresses. 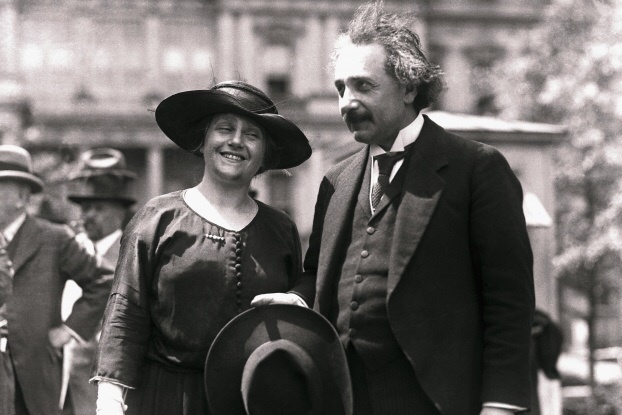 It seems that he wasn’t hiding them from his wife 10)”Letters reveal relative truth of Einstein’s family life” by Alok Jha, article published in The Guardian on July 11, 2006. However, Albert suffered deeply when Elsa became ill and died at the age of 60. The love that some people have for each other is complicated. 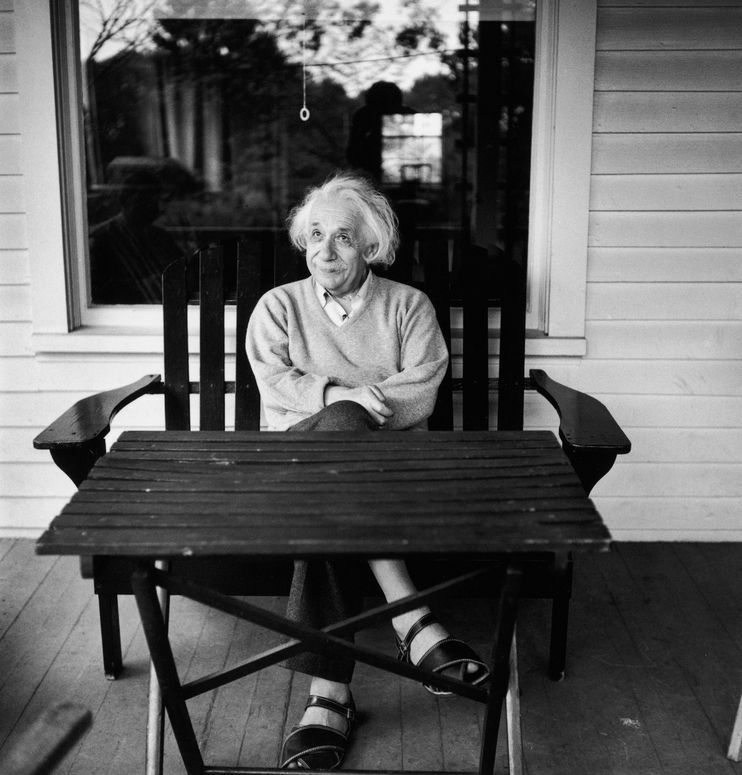 Albert Einstein confided to a friend, in a letter, that fidelity for only one woman is the greatest failure of his life. It seems easier for him to understand the universe than women. 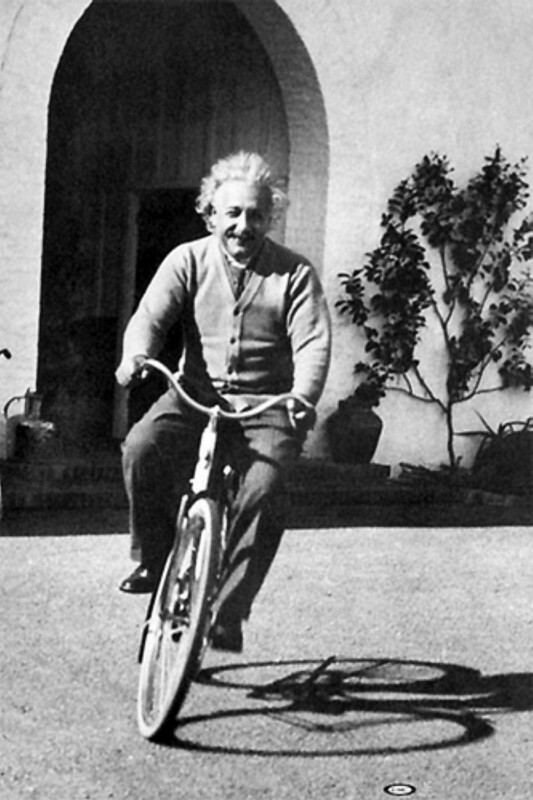 On March 14, 1951, Albert Einstein was celebrating his birthday. He was 72. He was at a party given in his honor, which didn’t end until late that night. At the exit, reporters insisted that he smile in photos. Only he was tired, he was unwilling to take pictures. Instead of smiling, he sticks his tongue out. The result? The photographer Arthur Sasse caught him in that moment. Not only did Einstein not “ruin” his picture, but in this way, the most iconic image of all time appeared. The irony is that Albert Einstein liked the picture so much, he made copies and sent them as greeting cards to his friends. The man had humor. 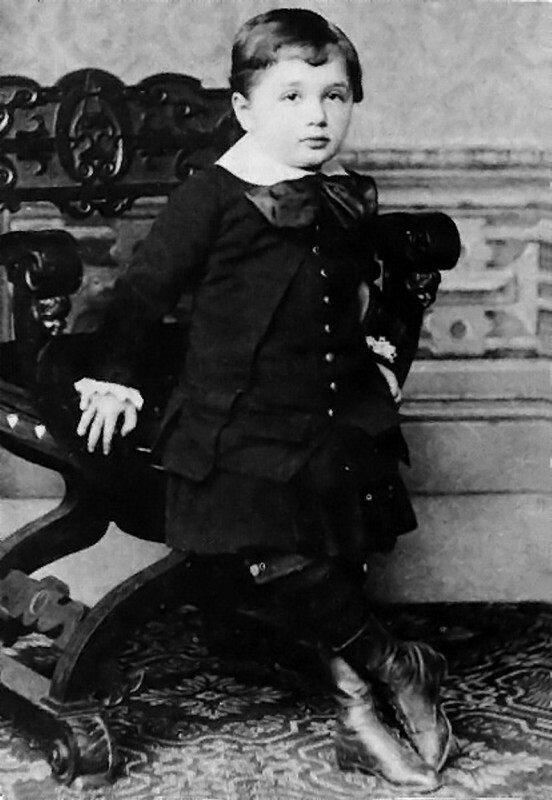 Albert Einstein was born in Ulm on March 14, 1879, in the Kingdom of Württemberg (now Germany). The center of Europe was geopolitically fragmented at that time. Thus, in 1896, he remained stateless. He finished his university education and made his greatest discoveries while living in Switzerland. And so, the Swiss have enough reasons to recognize Albert Einstein as one of them. The greatest Swiss scientist!! It has always been well known that Albert Einstein was a Jew. In fact, that’s why he left Nazi Germany. 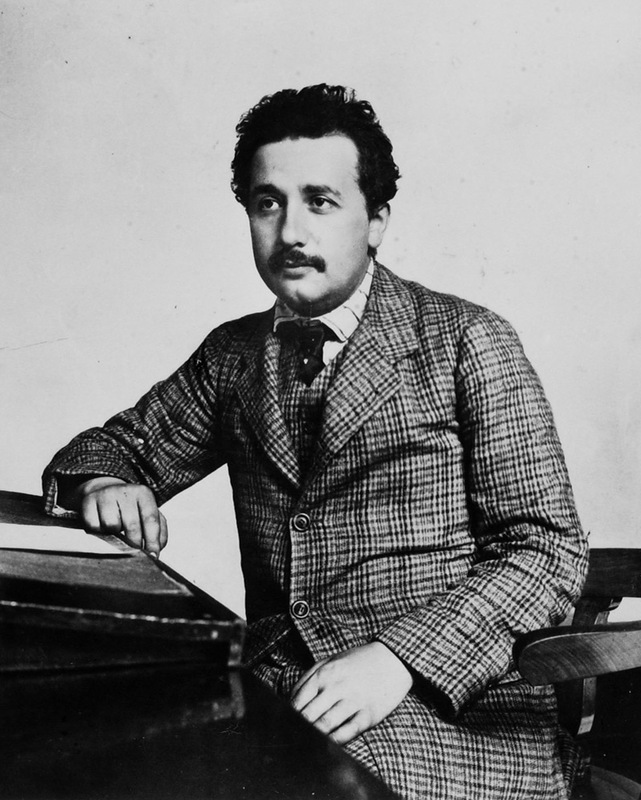 Einstein always supported Jewish people – scientifically and culturally. But he was just visiting the place which is currently the state of Israel. For him, the Hebrew people were transnational. In fact, after Jesus and Moses, Albert Einstein is the most famous Jew of all time! While his stay in Germany, Albert Einstein often took a stand against racist ideas. Without success, but he assumed some risks by doing that. You will say that as a Jew, he had every interest of doing so. But after moving to the United States in 1933, he did the same. This time, his targets were not Jews, but African-Americans. 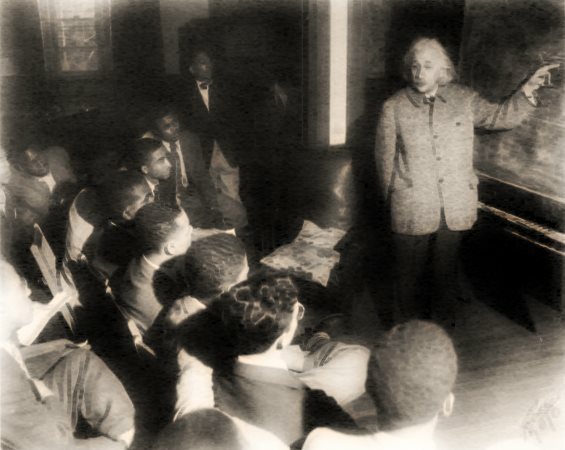 Albert Einstein became an active member of the National Association for the Advancement of Colored People, an organization that militated in favor of civil rights for African Americans. He took a public stand against racial segregation in America, aiding African Americans, and paying tuition for at least one black student 11)”Albert Einstein, Civil Rights activist” by Ken Gewertz, article published in Harvard Gazette on April 12, 2007. Such gestures, which today may seem trivial, at that time, they were courageous. Israel was admitted as a state in 1949. Chaim Weizmann was the first president, but he died on November 9, 1952. Shortly after, the Prime Minister, David Ben-Gurion, proposed to Albert Einstein to take the presidency of Israel. The scientist politely refused, arguing that he didn’t have the skills and experience for such a role 12)”Israel Modern History:Offering the Presidency of Israel to Albert Einstein” in Jewish Virtual Library. It sounds simple and rational. Actually, the story is more complicated. In the years before the founding of Israel, Albert Einstein expressed several times publicly his doubt that it would be good to separate the territories, thus separating Hebrews from Arabs. He was a pacifist dreamer. He considered that ways must be found for Jews and Arabs to live peacefully in the same state, otherwise, nationalism, no matter from which side, would amplify the conflict 13)”Einstein on Israel and Zionism: His Provocative Ideas About the Middle East” by Fred Jerome, book published by St. Martin’s Press in 200914)Open letter of a group of Hebrew intellectuals, including Albert Einstein, published in The New York Times on December 4, 194815)”Einstein on Palestine and Zionism” by Edward C. Corrigan, article published in The Canadian Charger on January 5, 2010. Time has shown that he had his share of truth in what was said. Perhaps in a society in which all people were intelligent and farseeing as him, all nations should have lived together peacefully. Apparently, David Ben-Gurion and other Israeli politicians were afraid that Albert Einstein would accept the proposal to become President. 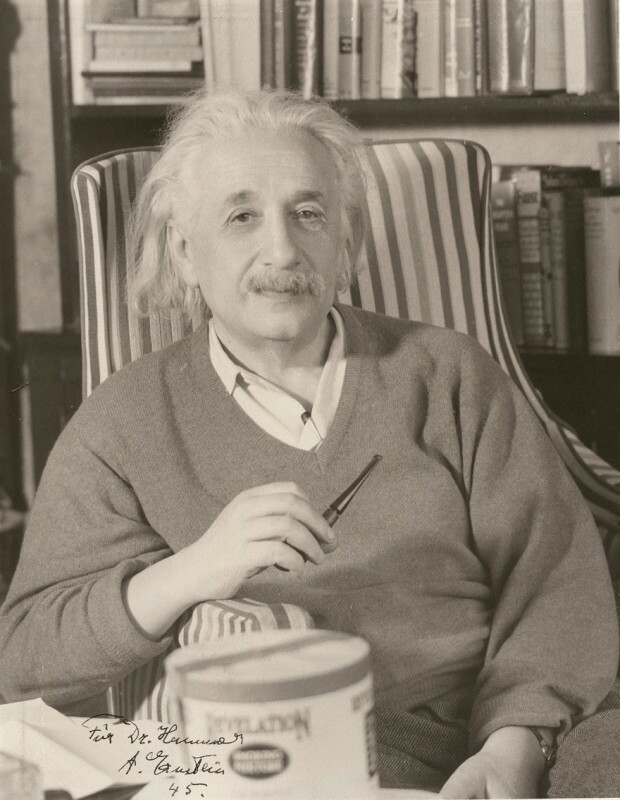 They did it just because they were under pressure to do so 16)”Einstein on Palestine and Zionism” by Edward C. Corrigan, article published in The Canadian Charger on January 5, 2010. At the time, Einstein was enjoying his great authority and popularity, so if he had made any “inconvenient” idea public, things would have become complicated. In the controversy between believers and atheists, Albert Einstein is quoted by both sides. Each wants to show that a man so intelligent, who understood the universe better than all those before him, confirms their opinion. At first, Albert Einstein was religious in a classical way. But soon enough, after his knowledge in physics deepened, his vision had changed. He believes that a divine exists, but that the human mind is too infantile to understand it. Therefore, religions are childish 17)”Childish superstition: Einstein’s letter makes view of religion relatively clear” by James Randerson, article published in The Guardian on May 13, 2008. And if his belief had to have a name, he would prefer it to be: agnostic 18)”Religious views of Albert Einstein” in Wikipedia. Of course, not while he was still alive. Although, perhaps some have wondered upon how to do it. 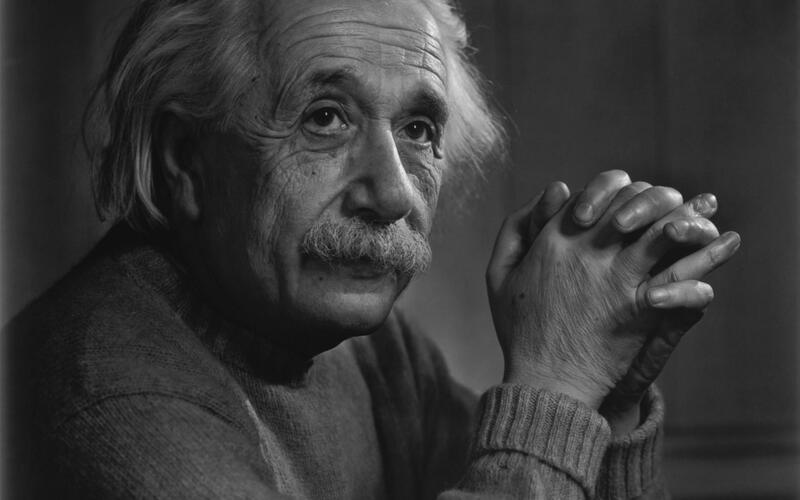 Albert Einstein – intelligent man – never wanted to be idolized. So he willed instructions to have himself cremated and his ashes to be scattered in a secret place 19)”The Tragic Story of How Einstein’s Brain Was Stolen and Wasn’t Even Special” by Virginia Hughes, article published by National Geographic’s Phenomena on April 21, 2014. After his death in 18 April 1955, Thomas Harvey was the pathologist who did the autopsy. What had suddenly gotten into him?! Everything will be cremated; no one will notice the stealing of this scientist’s brilliant brain. Damn, he wanted so much to study it. He preserved and hid it. His trick was caught pretty quickly. Thomas Harvey obtained an agreement from Hans Albert Einstein, the famous physicist’s son to preserve the brain for scientific purposes. But other family members had the opposite opinion. Then the situation got tense and Thomas Harvey was kicked out, but he took the brain with him. For half a century he moved from one place to another, taking the brain with him 20)”The Theft and Half-Century Journey of Einstein’s Brain” by Matt Blitz, article published in Gizmodo on January 30, 2015. His professional life and career went worse (a curse, some say). He kept searching for partners and even made a few studies on Einstein’s brain fragments, but the results were debatable 21)”The Tragic Story of How Einstein’s Brain Was Stolen and Wasn’t Even Special” by Virginia Hughes, article published by National Geographic’s Phenomena on April 21, 2014. Perhaps it would have been more interesting to study the brain of the thief – surely some weird things would have been found in there. Shortly after Albert Einstein’s death, a team led by Albert Ghiorso obtained official confirmation for being the first to synthesize the chemical element with an atomic number equal to 99. As is customary in such cases, they had the privilege to choose the name. 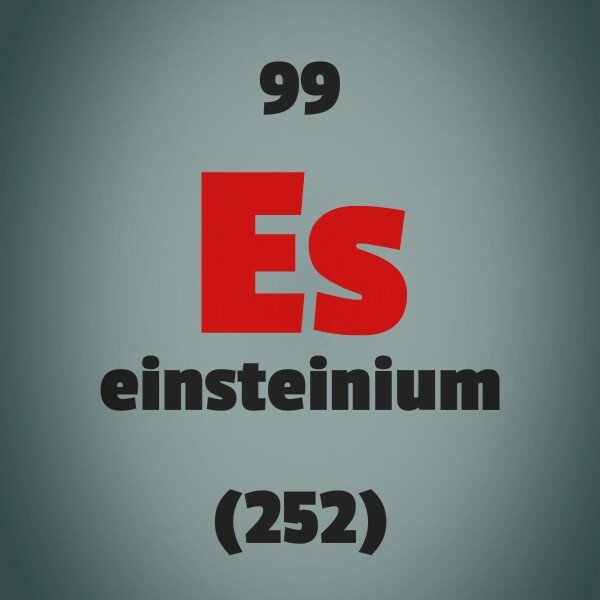 And chose: einsteinium 22)”Einsteinium” in Wikipedia – in memory of the great physicist. Does Yoda resemble Einstein by chance? Have you ever thought that Yoda, the famous character from “Star Wars”, looks a little like Einstein? Well, he doesn’t just look like him. Yoda was created by Stuart Freeborn. He shaped the head of the character after the great physician. 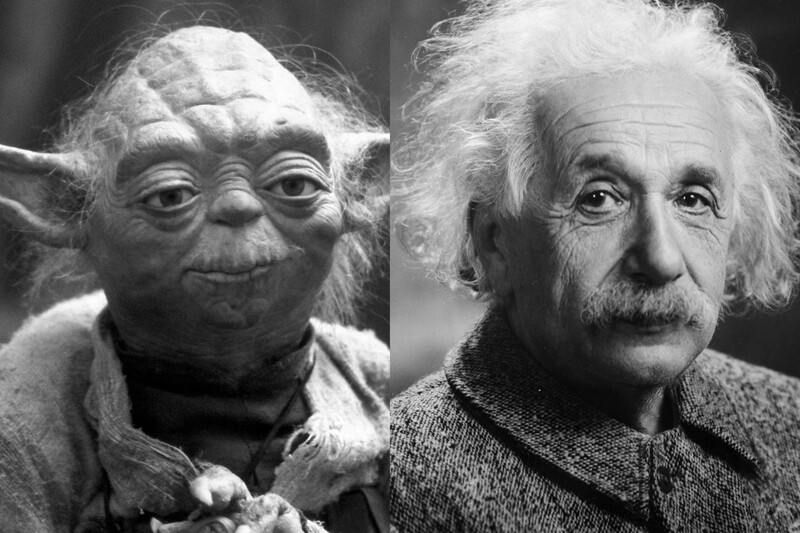 But Yoda had to inspire great intelligence, so he decided to take elements from a genius prototype: Albert Einstein. It just so happens that the eye zone is also very similar 23)”Yoda Mania” by Fred Hauptfuhrer and Karen Peterson, article published in People on June 9, 1980. If you take the letters of the name Albert Einstein and rearrange their order, you can reach an amazing result: TEN ELITE BRAINS. What more is there to be said? And there are so many things left unsaid. Better look for an Albert Einstein’s biography, I’m sure you’ll love it! Lucian Velea is the founder of Miratico and many other online projects. And don’t forget to let us know what you think – we are really interested in your thoughts on this! We need your help: Please invite your friends to Miratico! If we have more readers, then we can develop an even better online magazine. Miratico: The World as a Wonder supports many popular operating systems! What, Exactly, Does Being a Shaolin Monk Mean?